So I made it (barely) through my first week of post-trip hangover. It wasn’t easy. More than one cookie were consumed. I had no choice, I tell you! But some cool things did come up, like my getting to talk to Vanessa Barger about This Is Sarah and writing and Antarctica. Thanks Vanessa! And speaking of Sarah, Apryl at Apryl Showers was kind enough to share her thoughts on This Is Sarah. Set in a small town, where no one would believe such horrors would occur, the abduction of Sarah Evans ricochets through everyone from school friends to neighbours. There is an incredibly realistic feel to the novel. The pace is even, with a slow tempo allowing you to really engage with the emotions of each character. In fact the reader could almost be one of the neighbours or a school pupil – someone who knows of the missing girl but has no real personal connection. Many thanks to Apryl for her kind words. And in the thanks department, thanks to Mad Swirl for publishing Premonitions of a Sash, and to Cultured Vultures for Radiation Day 22 and to Blue Hour who published Radiation Day 24, Radiation Day 26 and Radiation Day 30. Funny thing, one thing nobody ever said to me – in this time when you will be so inward looking, so concerned with self, make sure you look about you as you go for regular treatments. The staff, the fellow patients – there is so much there to take in, so much about who we are as humans, how we handle things. How we share, especially casually, in greeting, even silently, in the nod of a head or a smile. It was comments like that which helped shake me out myself. That made me look around the room, and as Don said, really see this moment in my life. I hope I did all of them a bit of justice on the page. They were good people who like me, were stuck somewhere terrible. They made the best of it. I hope they’re doing okay now. 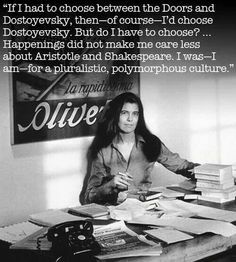 In other news, (and getting to the point of this post) I just finished reading On Interpretations and Other Essays, the classic Susan Sontag book. I’ve only read her interviews prior to this so I really enjoyed it, though there were some high and low points as with all books. My favorite essays were On Interpretations with its stellar conversation about form and content, and On Culture and the New Sensibility – which though written in 1965 is very relevant today with the constant high vs low art debates. Because SURPRISE, SURPRISE, the internet is MAD again. The new sensibility is definitely pluralistic; it is dedicated both to an excruciating seriousness and to fun and wit and nostalgia. It is also extremely history-conscious; and the voracity of its enthusiasms (and of the supercession of these enthusiasms) is very high-speed and hectic. From the vantage point of this new sensibility, the beauty of a machine or of the solution to a mathematical problem, of a painting by Jasper Johns, of a film by Jean-Luc Goddard, and of the personalities and music of the Beatles is equally accessible. That’s a scene from one of my favorite episodes of The Monkees where Peter sells his soul to the devil to learn how to play the harp. The Monkees = goofy laughs = Happy Ally. That’s the point of art. And variety makes for good “art-ing.” I think the #IReadYA thing is great but if you ONLY read YA, well…..you’re missing out. I’m sorry but you just are. It’s just as bad if you only read the New York Times Bestseller List or if you only read “literary” fiction written by white guys in Manhattan. White guys in Manhattan don’t know everything there is about this world. You’re limiting your own experiences if that’s all you’re reading. If you’re only getting one small slice of the art pie, you’re not getting enough pie. MOAR PIE! Now what I think Pegg here is talking about is that there are A LOT of comic book movies. Since 2010 there have been about 30 superhero movies made. THIRTY! And the reason there are so many is cause they make money. For me, his criticism is about the fact that we are paying the industry to keep feeding us the SAME THING OVER AND OVER AGAIN. Honestly when I think about the money spent on these movies, I feel dizzy. But as long as we keep forking over our paychecks the industry will keep churning it out. That’s how business works. What are we getting out of watching the Hulk smash things? Do we really need another Spiderman reboot? There has always been and will always be good science fiction and fantasy out there. Moon and Europa Report were two really well done movies that I walked away THINKING about. Come on, an alien that helps humans BE more human by trying to understand them? That’s why it’s classic. That has staying power. Anyway, I’m pretty sure that Sontag’s comment, made in 1965 can be the last one necessary to end this whole high vs low art thing. Time to put the tired conversation to rest. Let’s all stop hating on Simon Pegg, now okay? Speaking of “the solution to a mathematical problem….” I got back to work on Palimpsest this morning along with the help of some really great beta reader notes (I love you, guys). 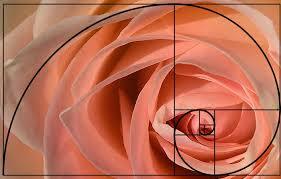 I also happened across this great video explaining the Fibonacci Sequence, a mathematical premise that is featured in my book. and so on and so forth. 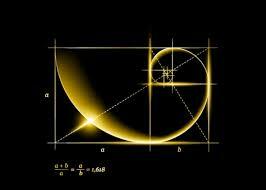 But the real cool thing is that the Fibonacci sequence is EVERYWHERE. 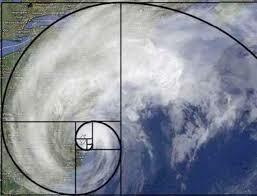 In the spiral of a seashell, in the arms of the galaxy. Even in your own bones! Aspects show up in art and architecture and in our DNA. And this is why math and science are amazing. Check out the video. It’s not long and it’s got cool music.